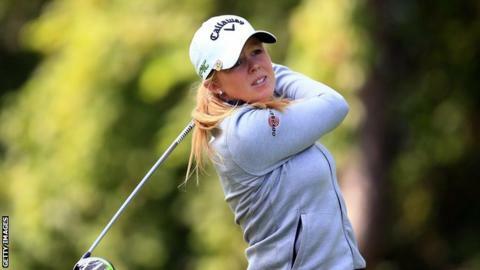 Stephanie Meadow posted a final round of two-over-par 74 to end the Kia Classic in California in a tie for 55th position on one under. The Northern Ireland woman began the final day 11 shots off the pace in a share for 35th but finished 17 shots behind winner, Japan's Nasa Hataoka. Meadow carded two birdies and two bogeys in her closing 18 holes and ended with a double-bogey at the 18th. She had been tied for second place after an opening round 67. Meadow followed that up with rounds of 72 and 74 on Friday and Saturday.